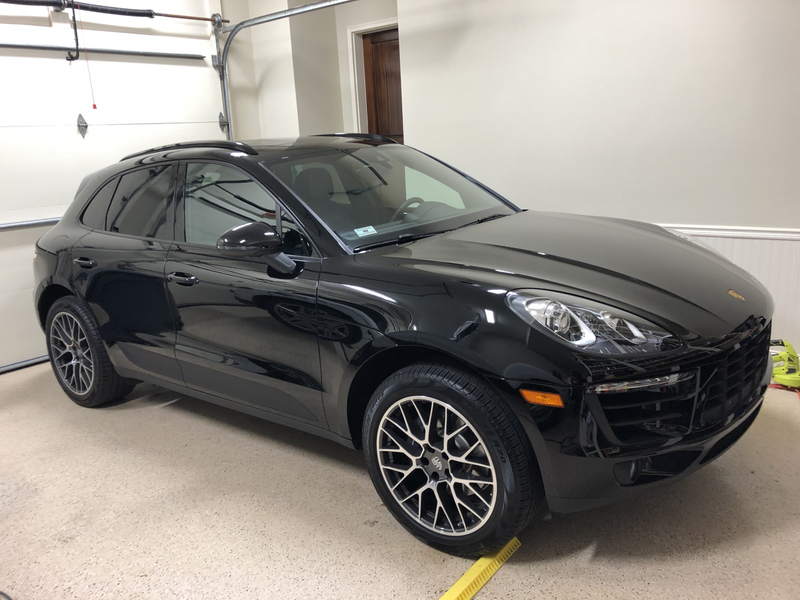 Pinnacle Black Label Diamond Glass Coating creates an extremely slick, impermeable barrier of protection on exterior glass surfaces that prevents dirt and moisture from sticking. Formulated using state-of-the-art nano-glass ceramic particles, treated glass surfaces will have increased chip and scratch resistance while exhibiting extreme hydrophobic properties. Spray and wipe application lasts up to 18 months! Spray directly onto glass and evenly distribute using a Lake Country Coating Applicator. Remove excess residue with a microfiber towel. Your glass will be protected for up to 18 months! Nano-glass ceramic particles are the secret to the superb performance of Black Label Diamond Glass Coating. As soon as you apply Diamond Glass Coating to your vehicle’s exterior glass, it immediately starts forming a hardened glass membrane that actually becomes one with the glass. As this glass membrane hardens, it fills in microscopic pits, pores, and valleys, creating a perfectly smooth surface so dirt, road grime, oil, and airborne contaminants can’t stick. The crystal clear barrier of protection created by Diamond Glass Coating is so slick that it will cause water to bead up and roll off at speeds as low as 20 mph, rendering your windshield wipers virtually unnecessary! Black Label Diamond Glass Coating is perfect for drivers located in the Snow Belt. Thanks to the immense amount of surface tension created by Diamond Glass Coating, snow and sleet are easily removed. If your vehicle is parked outside and a slurry of rain and sleet happens to freeze on the windshield, a quick swipe with your favorite snow brush will take it right off. When the weather warms up and bugs find their way to your windshield, they too will easily be removed. Polish the glass first using Black Label Surface Cleansing Polish. Spray Diamond Glass Coating directly onto the surface and evenly distribute using a Lake Country Coating Applicator. Allow product to set up for 1 minute then lightly buff with a clean, soft, lint-free microfiber towel. Do not apply any pressure to the towel while performing this step. Do not expose glass to moisture for 12 hours. Easy to apply with suggested foam applicator. Buffs off easily without streaks found with Griots or other products. ConsToo soon to know how it performs or justifies the price. I put this on my Class A motorhome. Every window. That was 10 months ago. It still shines, sheds water. Bugs come off easy. Just bought 2 more bottles to use in the house and all my other vehicles. I put it on the master bath shower glass last year still works great. ConsDoes not do well with out a good prep job. ConsPoor durability, expensive, requires use of additional products which adds to cost. Based on the reviews I really wanted this to work. For the price, amount of prep required, and longevity I got out of it, I wouldn't recommend this product over RainX. Both times it's worn completely off after about 2 months. I was only able to avoid using wipers at freeway speeds, and only in a significant rain. For mist or fog, wipers were always required. Maybe it's OK if you live somewhere that doesn't experience frequent fog or rain, but what's the point then? Easy application on a prepared windshield. Applied with a Lake County Coating applicator. Let it sit a minute, used a Gold Jr MF to wipe off any high spots/excess. Couldn't be easier. ProsEasy to apply & hold up well.